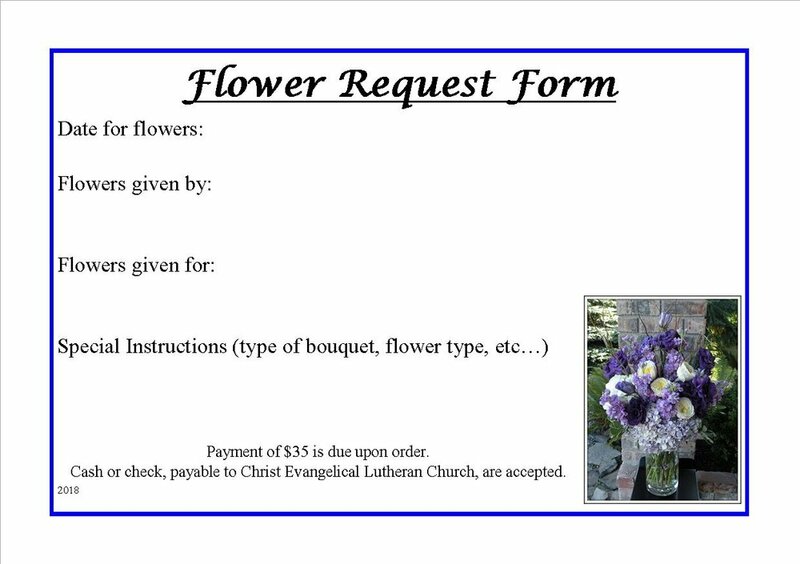 We offer three options to order flowers for our worship services. Please download the form and return it, with payment, to the church office no later than one week before your date requested. Please download the form and return it, with payment, to the church office no later than one week before date requested. Payment for flowers is due at time of order. Please use the "Donate" button found below to make a payment. Thank you.